Question 1: How well do you think the region will cope with prolonged US-China tensions? How will DBS fare in such an environment? A: At the time of writing, there is uncertainty about how the US-China trade tensions will play out. My belief is that both sides are keen to get a deal done, and one will be forthcoming, anchored on a commitment by China to reduce trade imbalances as well as improve intellectual property protection. If this happens, we are likely to see a relief rally all around. If not, we will continue to see a negative impact, less on the real economy but more from poorer market sentiment and the ebbing of animal spirits. I tend to think the effect on the real economy from trade tariffs, while important, is not as severe for China as many commentators suggest. First, the proportion of net trade to GDP has been shrinking; within this, the US accounts for only about 19% of China’s exports in 2017. Second, in the short term, it is not easy to shift many of the supply chains away from China. In areas like technology, we think this could take several years. What will happen sooner is that new investment in capacity will shift to alternative locations, as has already been happening with lower value-added goods. I also believe that any shifts that eventually happen are likely to be within the region, reflecting the reality that Asia is both a production centre as well as a market place. Our customers frequently cite Thailand, Vietnam, Philippines and India as potential beneficiaries of longer-term shifts. Such shifts are likely to be at least neutral for DBS’ business, if not somewhat positive. However, even if there is an agreement, it would hide a couple of larger concerns. The shift from a multilateral trading regime based on WTO, TPP and such-like is generally not good for a stable rules-based order. Bilateral arrangements create arbitrage windows and are difficult to monitor and execute. This will create ongoing friction in trade flows. The more disconcerting worry is that US-China tensions extend beyond trade and are really a manifestation of the Thucydides trap. This would create ongoing geopolitical tensions and a new set of challenges in a region that has benefitted from geopolitical stability over several decades. In the extreme, one could imagine a technology-led iron curtain between China and the US, forcing smaller Asian countries to choose sides. This would be extremely damaging for the region. We should avoid the possibility of a new cold war at all costs. Question 2: How does DBS think about responsibilities to shareholders and align them with those to stakeholders? There is often a view that responsibility to shareholders (as measured by return on investment) is in conﬂict with responsibility to other stakeholder groups. While there may be some sympathy for stakeholders such as customers and employees, the discord is particularly evident when thinking about obligations to society or communities at large. This viewpoint was famously supported by Milton Friedman when he said that the only responsibility of a company is to make a profit for its shareholders. This led to a long period where shareholder value was the principal mantra of the corporate world. In my view, this “conflict” is easy to resolve if one is willing to shift the time frames under consideration. While there may indeed be some trade-offs between maximising shareholder returns and providing societal benefits in the short term, ensuring productive outcomes for society is completely consistent with the interests of the shareholder in the long term. The reason for this is quite simple: while businesses often need regulatory licences to operate, what is easily forgotten is that they need another licence as well — a social licence. This social licence is critical, because if society or the citizenry does not see any value in a business’ existence, it is doomed to extinction. The only way to have a long-term sustainable business is to ensure that society’s expectations are met. While regulatory licences can be applied for, such social licences — like respect — must be earned. Mark Carney, the Governor of the Bank of England, has expressively called this time frame problem the “Tragedy of the Horizon”! At DBS, we take this idea of responsibility to society seriously. In fact, because we were created for the development of industry in a ﬂedging Singapore, one could argue that it is even rooted in our DNA. From the early days, our guiding ethos has always been “if it is good for the country, then it is the right thing for us to do”, and that ethos still continues to guide our actions. 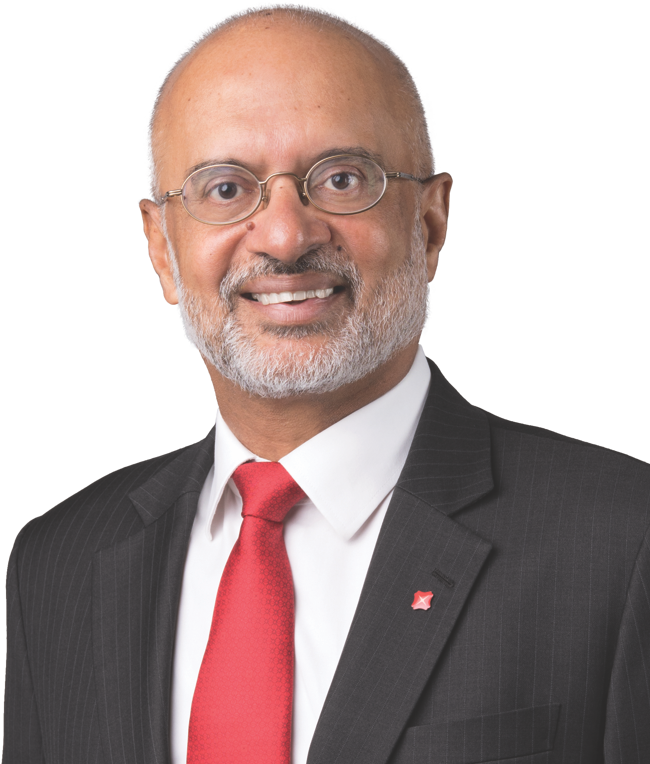 As we have expanded beyond the shores of Singapore, we have brought this thinking to bear in the other countries where we operate, seeking to do real things for real people. We seek to be responsible in our financing practices, trying to provide financial inclusion where our business strategy and reach enable us to do so. In Singapore, for example, we are the preferred port of call for segments such as migrant workers and the smallest SMEs. We are conscious of the developmental as well as environmental impact of our financing choices and try to balance them sensibly. We attempt to ensure that our business practices are mindful of societal needs, whether in our hiring through appropriate diversity policies, or in our consumption through minimising waste. Finally, we try to make ongoing social impact through an active volunteering programme, and a commitment to helping and growing social enterprises around the region. Question 3: How do you feel about your progress in digital transformation? 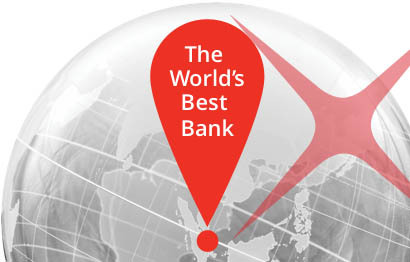 We have been named “World’s Best Digital Bank” twice in the past three years, so I guess we have done a few things right! Perhaps our most important achievement has been in recognising that a digital transformation requires both hardware and heartware to change technology as well as culture. We used to be 85% outsourced; today we are 85% insourced, with a high quality workforce between Singapore and India. Over 80% of our open systems are cloud enabled, with over 60 applications being completely cloud native. We have automated DevOps, allowing us to have almost complete automated testing, and an increase in our release cadence of almost 10 times. Our culture change journey began in earnest in 2014, when we decided that we had to learn how to operate like a startup. We have tried to build a culture that is customer driven, data obsessed, open to experimentation, and that embraces an agile way of working. We have also tried hard to become a learning organisation, where people are constantly seeking to reinvent themselves. To deepen our startup culture, we conducted over 1,000 experiments involving 17,000 employees. Even our hiring process took on a new spin, as did other activities such as marketing or audit. We partnered startups, corporates and universities to develop innovative mindsets to tackle business challenges. The goal: to reimagine banking and to make ourselves simpler, faster and better. We applied this approach to developing digibank. As India’s first mobile-only bank, digibank enables customers to set up a bank account in mere minutes in a branchless, signatureless and paperless way. In two years, we amassed 2.3 million customers and 650,000 savings accounts, while requiring just a fifth of the headcount needed by a traditional brick-and-mortar approach. Based on our experience in India, we introduced digibank in Indonesia in 12 months instead of 24! Our investments have taken us a long way forward to operating like a tech company. However, it’s fair to say that we are still a long way from the leading global technology companies. We still need to do a lot of work on data, which is a big part of our agenda going forward. In addition, technology is always changing. Developments in blockchain, artificial intelligence, Internet of Things, augmented reality and other new technologies will need us to remain on our toes in the years ahead. The real significance of the year’s results was the increase in ROE to 12.1%. Our franchise has been fundamentally transformed over the past decade.